We are proud to be able to offer our customers a comprehensive range of lenses for your spectacles. We can help you choose the best option for you, be it for work, reading, driving or just everyday use. Whatever you want from your glasses, we can find a lens solution to suit your needs. To discuss your lens options it is best to visit the store. A single vision lens is described as such simply because it contains one prescription in the lens. This prescription is typical used for distance, intermediate (for example when looking a computer screen) or reading. 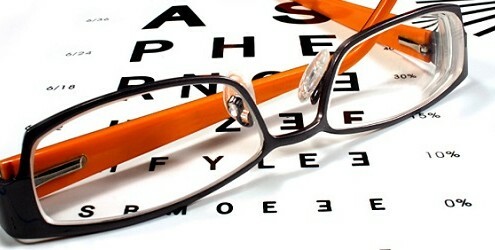 You may need to wear a distance prescription most of the time if you are long or short sighted, or have an Astigmatism. Bifocal lenses as the name suggests, allows two different prescriptions to be incorporated into one lens. Bifocals are typically used to provide both distance and near prescriptions. This is achieved using a small segment, usually in the lower portion of the lens, which the wearer looks down through in order to read. The lenses of polarized sunglasses reduce glare reflected at some angles off shiny non-metallic surfaces such as water. They allow wearers to see into water when only surface glare would otherwise be seen, and eliminate glare from a road surface when driving into the sun. Polarized lenses are available in Single vision and Progressive lenses. We can make prescription lenses to any colour and depth of your choice into any Sunglass in Single Vision, Bifocal or Progressive. We also offer a wide range of transition lenses that change colour in the sunlight. Available in single vision, bifocals and Progressive, these can make your new spectacles ready for all conditions. Perfectly clear indoors and within seconds, sunglasses out in the sun. look into the distance, for example when driving. See sharply at an intermediate distance, for example when looking at a computer screen. See sharply at near or reading distances.Progressive lenses can suit every aspect of day to day spectacle wearing. Progressive lens design has improved dramatically over the years. The technology used to generate the complex curves has made leaps and bounds, to improve wearer comfort and increase visual performance. Freeform technology has meant that Progressive can now be custom made to your prescription, almost eliminating adaption time, and offering an option for patients who have struggled with Progressive in the past. We use Progressive from some of the major manufacturers such as Hoya, Essilor, Seiko, Rodenstock, Shamir, Vision Rx. Note : All the measurement for Progressive Lenses are taken by PD meter. All of our lenses come with the option of an anti-reflection coating. This is a coating that reduces reflections on the surface of the lens. The two main benefits of this are an improved cosmetic look and a reduction in glare from bright lights. This is very useful in low light conditions such as night driving, where the ‘starburst’ glare from headlights can make driving difficult. We can also offer Hydrophobic coatings on many of our lenses. This acts as a ‘non-stick’ layer for grease, dust and dirt making cleaning your lenses much easier.